Beautiful, funky and functional: a Luxury Room, The Silo, Cape Town. 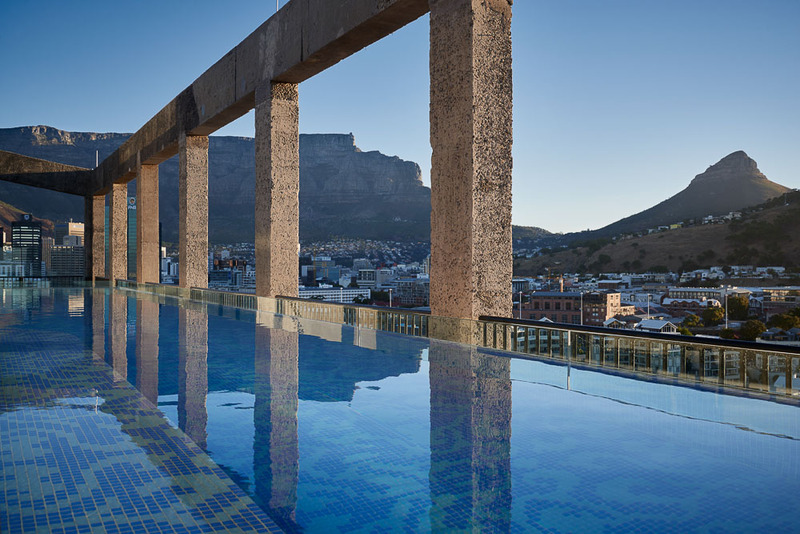 Under the Table (Mountain): Rooftop pool and bar, The Silo, Cape Town (photo: Mark Williams). The Silo, as the name suggests, is a reclaimed grain silo, once Africa;s tallest building (photo: Mark Williams). 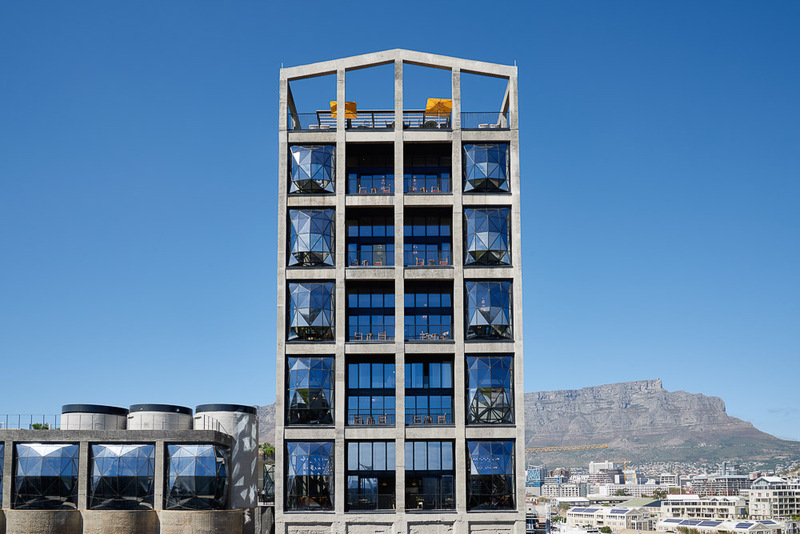 There are five-star hotel rooms and then there are five-star hotel rooms… Steve Madgwick finds that Cape Town’s The Silo is the latter, a design hotel that is actually fully functional too. 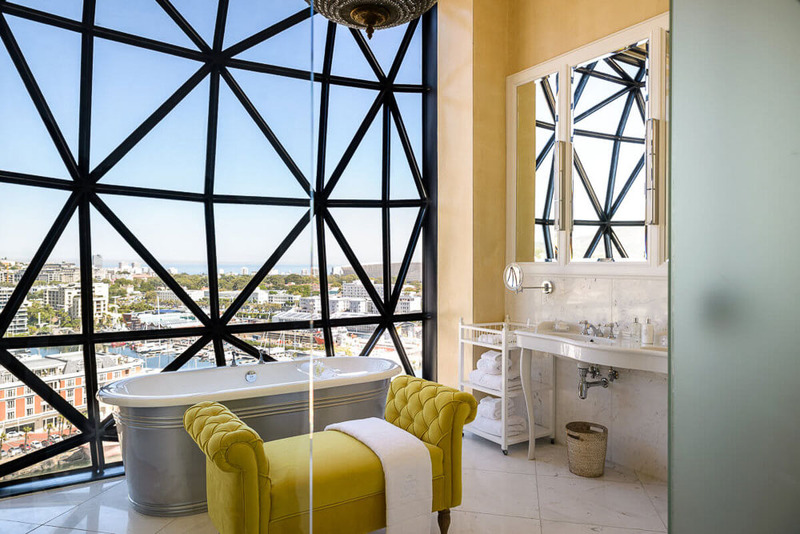 Infuriatingly, I cannot review The Silo hotel on Cape Town’s shiny V&A Waterfront. The rule here, at both International Traveller and Australian Traveller magazines, is that we have to pay our own way and visit in secret if we plan to write a hotel review. Our opinion is not for sale. And, inevitably, when hotels know that someone from a travel magazine is staying the night, they really turn it on, give us the out-of-the-ordinary royal treatment, which clearly could bias a review (the crux is: what does a ‘regular’ customer experience?). 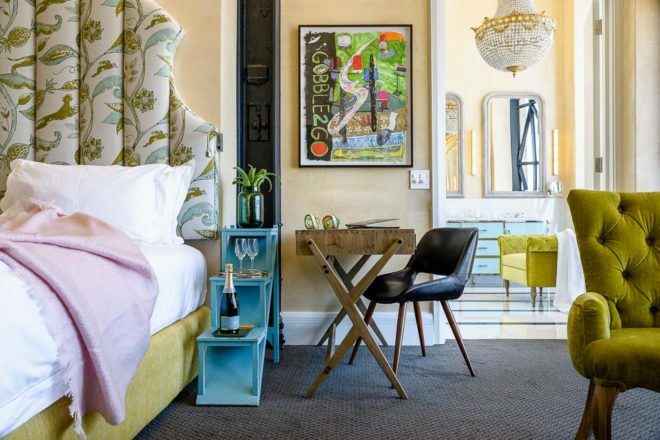 My two nights at Cape Town’s brand-spanking-new five-star hotel were paid for by South African Tourism (yes, as I travel writer you are occasionally privileged to stay in some fine rooms for ‘free’ although you quickly learn that nothing comes for free). This is why this is not a hotel review. I was in South Africa to cover a heap of other stories, including one in Cape Town, and was booked in for a couple of nights. Being only two months old, inevitably, there are some small points that aren’t yet perfect at The Silo. Even though the staff knew I was coming, the service rated only a four-and-a-half of five stars. It was suitably doting, but just felt a little uncoordinated, in need of that final touch of finesse; about where many a hotel is after only eight weeks. But there was one thing that snatched and held my attention so overwhelmingly that I could not just let this pass: my ninth-floor abode; one of four ‘luxury rooms’ of the hotel’s 28. Not only was this the best of the six South African five-star establishments I stayed in over the two weeks, but it’s one of the best rooms I have ever stayed in. Period. First: The aesthetic. The ‘individually designed and decorated by the stylish wand of Liz Biden’ room is lively, uplifting, homely, despite its sky-high ceilings, and just plain fun. The contrasting artworks, faces with eyes displaying different moods, are personal and add personality. This is a room for curious humans; not those seeking uniform commodified luxury. Not everything was to my taste, such as the oversized crystal chandeliers, but there’s always one more interesting element to draw your eye. Bold limes on the hand-picked chaise lounge and beds, stand defiantly next to funky three-step side-tables painted in this shade of green’s natural enemy: powder blue. Reason two: a great view exploited to perfection. Naturally, a ninth-floor room (the hotel sits in an old grain silo elevator, the tallest building in Sub-Saharan Africa in the 1920s) and central Cape Town location like this – Table Mountain to the left, and the World Cup stadium and the Atlantic Ocean to the right – should offer an incredible outlook. But it’s the use of the view, and how it is presented, that are the key here. The Thomas Heatherwick-designed ‘pillowed’ floor-to-ceiling window bays drink in the vista and light greedily. The panelled windows curve out a metre-and-a-half from their frames, just like a giant fly’s eye. A free-standing bath, located next to the double storey windows in the super-roomy bathroom, is the place to watch Africa go by. Even the stark, gritty (working) dry dock below becomes interesting when you’re having a soak in this rarefied space. I found myself endlessly people (or, from this height, ant) watching. Third: unlike many art and/or design hotels, which make you feel like you’re staying either in an art gallery or a junk shop, this room ‘does’ beauty and function. Everything is just so user-friendly, even if at first glance it doesn’t seem so. One swipe at the conveniently placed automatic blind switch will black out the room in seconds; you don’t need a diploma to work out the light switches; the Quercus soaps and toiletries are placed everywhere you need them; the bath fills quickly and to your desired temperature, then drains quickly and silently with one press. Little touches, such as fresh ginger and lemon in the mini bar and, at the other end, the Moments of Mindfulness: African Wisdom book placed in the loo for your constitutional consumption, weave a charm matrix. The rest of the hotel is packed with goodies, like a stunning rooftop pool, a modern light-filled restaurant and, naturally, a spa. Externally, the design is a good reiteration of post-industrial space; the geometrical design, love it or leave it, certainly a talking point. All of which I barely had time to see anyway, thanks to the aforementioned busy schedule (cue the violin). But, as I said, this is not a review, merely a compliment to a room that I was very happy to return to, time and again. And would again. The Silo is part of the Royal Portfolio group, which has five five-star properties in South Africa. 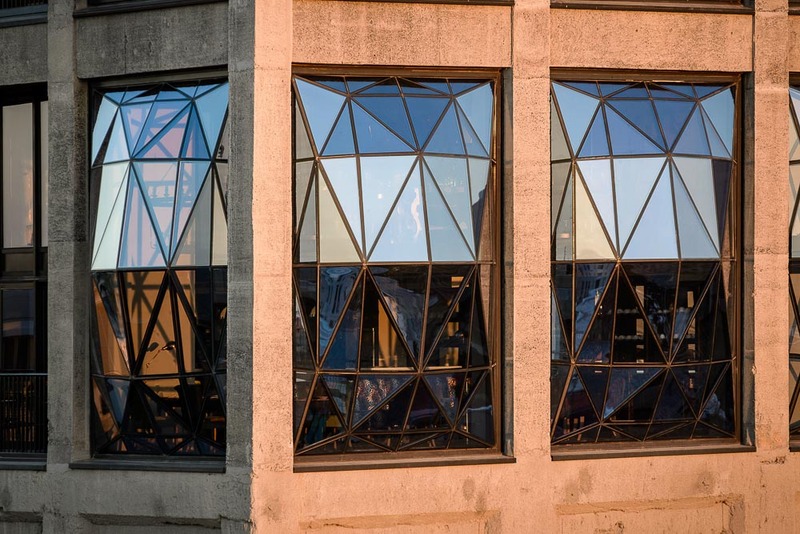 The Zeitz Museum of Contemporary Art Africa (MOCAA) is due to open in September 2017. The gallery is tabled to display “the largest private collection of African art” anywhere in the world.